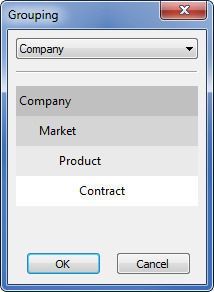 You can determine how your positions are sorted in the Position Pane and Summary Pane using a context menu option called Grouping. 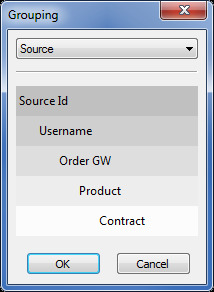 The way you group your positions, directly corresponds to your need to view aggregate information. Example: You may need to see positions grouped by Account or by Gateway. Account: Used to track positions by account. Broker: Used to track positions by Broker ID. Note: This option is only available in when running X_TRADER in multi-broker mode. Company: Used to track positions by company ID. Contract: Used if you do not need any tree structure. Order GW: Used to track positions by gateway. This is the default view. MGT (Member, Group, Trader): Used to track positions by gateway login. 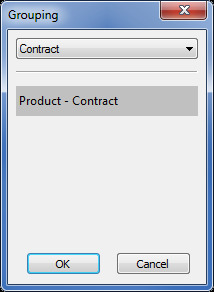 Market: Used to see aggregate positions across exchanges if the same products are traded on multiple gateways. Source: Used to see activity from different applications such as Autospreader, Autotrader, and Fix Adapter.